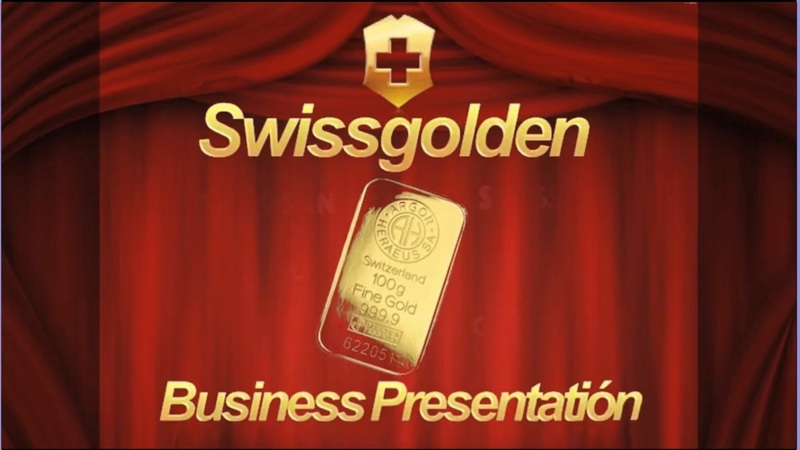 The Leadership program of the Swissgolden company was developed to encourage Swissgolden's most active clients. Leadership program allows active and professional clients to build Leadership careers in the company and get passive income from the turnover of its structure. The leadership Program earns you residual income. You will earn gold every time someone in your downline receives their reward. There are 2 ways to qualify for participation in the Leadership Program. When you, your 2 directs referrals and their 2 direct referrals have earned €1,820 Euros from your first Main Table of Orders. 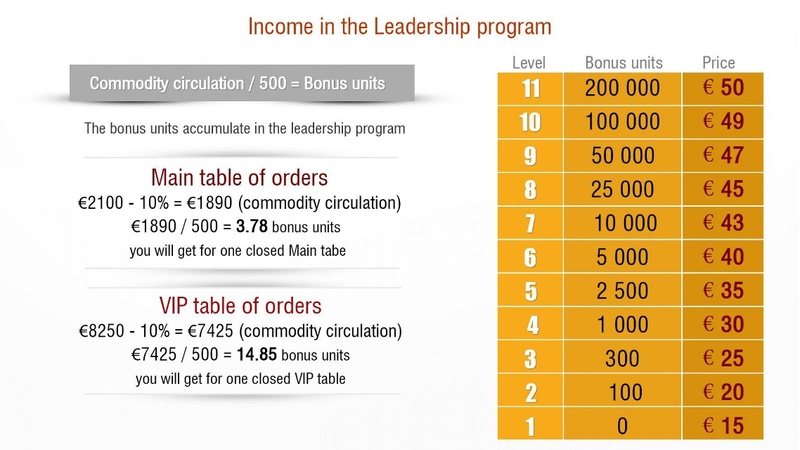 When you join the Program in the VIP Table of Orders with €2,750 Euros. 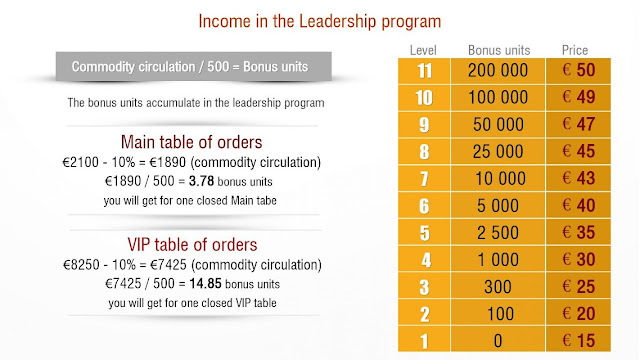 When you and your 2 direct referers earn your €7,420, you will become a leader and earn bonuses from all your downlines. The sum of each purchase of gold bars in the client’s structure divided by a constant of 500. 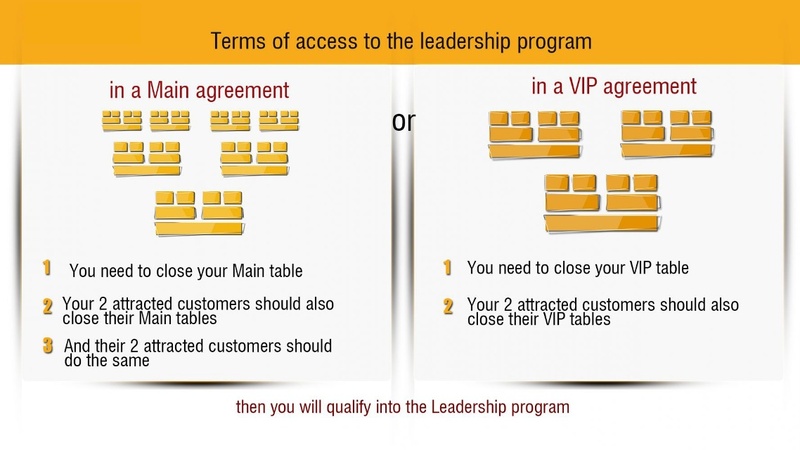 Leadership remuneration serves only for the purchase of investment gold bars within the Internet shop.